I had bought a bed in a bag comforter and sheets set that was called dobby stripe and was hoping these would match. They did: perfectly! 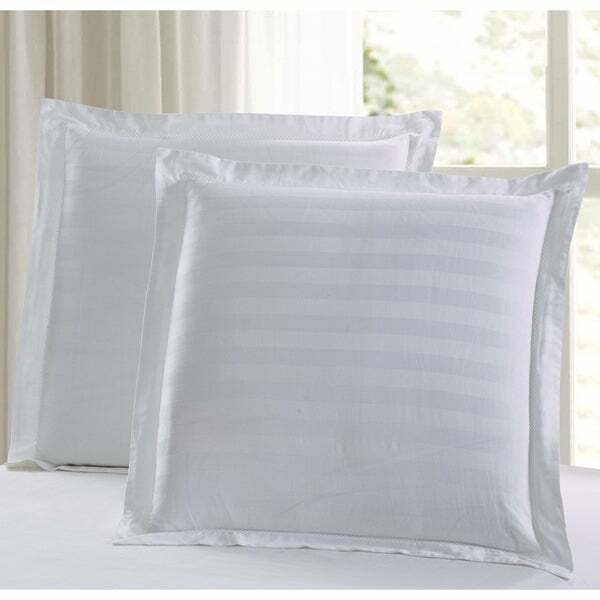 Keep your pillows protected from stains and looking stylish with these 100% cotton cover takes on a 26" square silhouette. These shams offer a evenlope closure on the side and is conveniently machine washable. Very nice, the quality isn't bad and the design matches my current comforter. I was looking for just a plain white simple euro sham so that works perfectly.